Warren Buffett’s MidAmerican Energy Holdings has just agreed to buy a photovoltaic farm in San Luis Obispo County for a cool $2-billion. And although Buffett’s recent investment in the renewable sector is modest compared to his $34 billion purchase BNSF Railway, it could be an indicator of further forays into the green sector by the legendary investor. The high-profile bankruptcies of US-based solar panel manufacturers Solyndra and Evergreen have cast a dark cloud over the solar industry and decreased investor-confidence in the stability of green energy investments. But for Buffett, the time is ripe to build up a portfolio of renewable energy investments while prices are low. The new photovoltaic project, called the Topaz Solar Farm, will be constructed on 3,500 acres of farmland and will generate 550 Megawatts of electricity, or enough power for 160,000 homes. The project was originally to be spearheaded by First Solar, but when it was unable to secure a federal-loan guarantee of $1.9 billion in September it was forced to seek other alternative to fund the project. Instead, the farm was bought by MidAmerican, with First Solar fulfilling the construction and maintenance tasks for the solar farm. For MidAmerican, the project will generate a profit over the course of its 25 year contract with Pacific Gas and Electric. Since First Solar had signed the contract with Pacific Gas and Electric prior to the collapse in energy prices, MidAmerican will get returns above market value. The new 550 megawatt thin-film photovoltaic solar energy farm is just one of the ways Californian hopes to attain an energy portfolio consisting of 33% renewable by 2020. 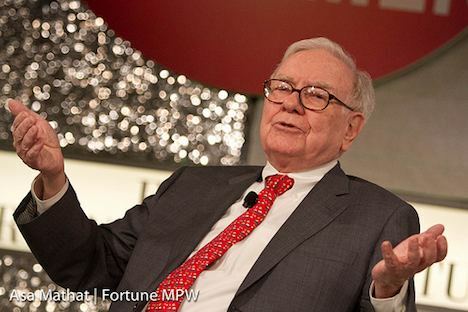 What do you make of the recent Buffett purchase of the Topaz Solar Farm?